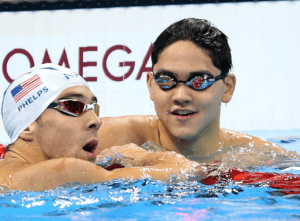 2016 U.S. Olympic Trials Preview: Who Will Join Ledecky in the 800? 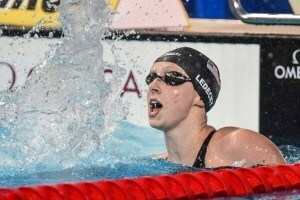 Tweet 2016 U.S. Olympic Trials Preview: Who Will Join Ledecky in the 800? Katie Ledecky may be the most dominant athlete in any sport on the planet right now and the 800 meter freestyle is her prime event. Her incredible rise from newcomer status on the national scene at the 2012 Olympic Trials to her surprise gold in London (taking down Janet Evans’ American Record from 1989 on the way) was just the beginning of an era of unprecedented success. Since the 2012 Games she has lowered the World Record from 8:14.10 to 8:06.68, a time nearly twelve seconds ahead of anyone else in the world this year, and there is no indication that this star is finished rising. 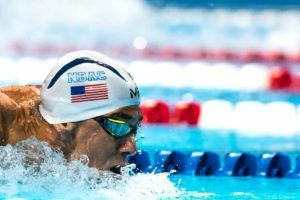 Of course the Stanford commit is the favorite heading into Omaha, but the race that creates the Team USA roster for Rio still has to be swum and there are two spots up for grabs. 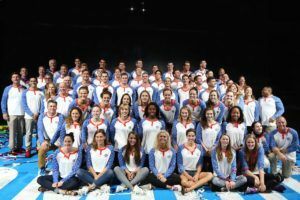 Behind Ledecky is a crop of American talent who will put on a show while fighting to claim the right to represent the USA in the longest individual women’s event offered. Here is the Viking’s rundown of the rest of the top eight ranked athletes at this point heading into trials for the 800 meter freestyle. Becca Mann just accidentally killed her lap counter with her ready room stare-down. Seriously, she just looks mean in this picture. Becca Mann‘s 8:21.77 for the 800 free from the Arena Pro Swim Series in Minneapolis last November currently ranks her 4th in the world. This gives her nearly a three second advantage over any American besides Ledecky hoping to claim a spot on the American squad heading to Rio. 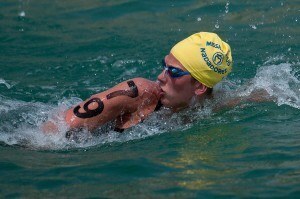 She was also the Open Water 10K National Champion in 2015. She has committed to USC but still currently trains at North Baltimore Aquatic Club. Cierra Runge had a stellar freshman season in 2015 at Cal where she set an NCAA Record (4:31.90) for the 500 freestyle at the PAC-12 Championship and contributed to an American Record 800 Free Relay for the Bears. She is spending the year in Tempe training under Bob Bowman with plans to transfer to the University of Wisconsin in the fall. Her top time is the 8:24.69 she achieved at 2014 Summer Nationals. Leah Smith turned in the second fastest 500 free in NCAA history (4:31.33) and defended her NCAA title in the 1650 after setting an NCAA Record 15:32.72 at the 2016 ACC Championships while representing the University of Virginia. So far her best 800 free for Long Course is 8:24.74 from June 2015, which puts her just .05 behind Cierra Runge in the rankings. 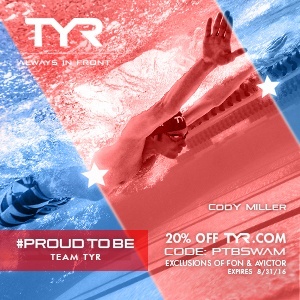 Smith was just a tenth off that time at last weekend’s Pro Swim Series meet in Indianapolis. Stephanie Peacock is currently training under Bill Rose at Mission Viejo. 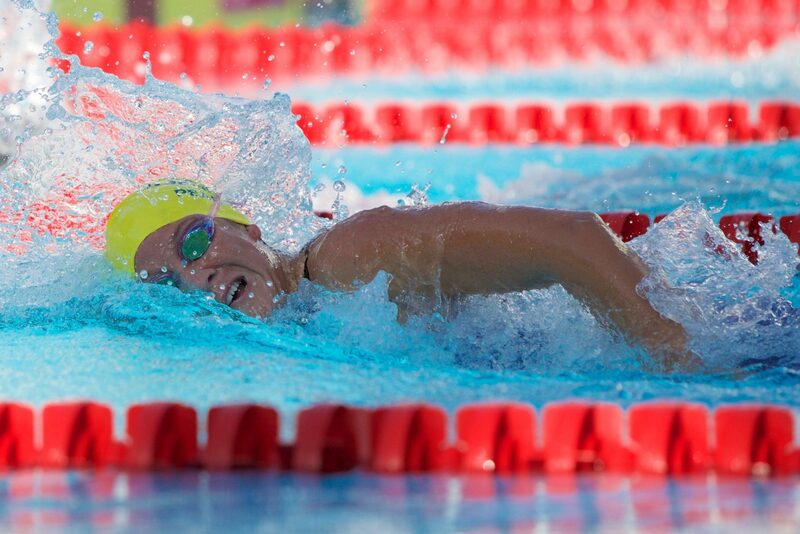 She turned in a stellar 8:25.89 to win the 800 meter freestyle at the Fran Crippen Swim Meet of Champions in April. That time ranks her 4th in the US and 13th in the world for the 2015-16 season and is only 1.5 seconds from her personal best 8:24.36 from the US Open in 2012. That is well ahead of any in-season swim she has turned in over her career. Peacock also ranks 4th in history among Americans in the 1000 yard freestyle with her personal best 9:23.50 set at the King Marlin Pro-Am Classic in December, indicating that she is on track to be on her game in Omaha. I always like to imagine Sierra Schmidt is listening to one of Weird Al’s best polka tracks. Lindsay Vrooman continues to improve as a professional after completing her college swimming career at Indiana in 2014. She turned in a seven second improvement in the 1000 yard freestyle in December at the American Energy Pro-Am in Oklahoma, winning the event in 9:30.19. She currently represents Badger Swim Club. Her lifetime best 8:26.67 over 800 meters was set at World University Games last July. Sierra Schmidt from North Baltimore Aquatic Club may be more well known for the way she rocks out behind the blocks than for her incredible success in distance events. Schmidt won the 800 meter freestyle at the 2015 Pan-American Games with 8:27.54, ranking her 7th among Americans heading into Trials so far. You can be certain the Dancing Queen won’t be nervous behind the blocks, and if she does make the team she will surely get a lot of attention from the media. Ashley Twichell could use some work on her breathing technique but I won’t tell her that since she could probably beat me up. 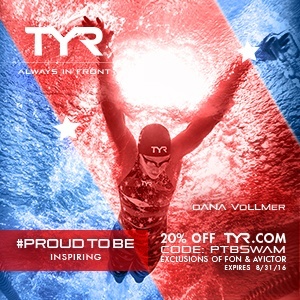 TYR sponsored athlete Ashley Twichell is only 14th on the list of Olympic Trials Qualifiers with the 8:30.45 she swam recently in Charlotte, which cut nearly four seconds from her previous best. Looking for a good sign that this girl has a shot?… Check out the even more impressive 16:11.19 she rocked in the 1500 at Charlotte on May 12th that ranks her #5 in the world this year. Twichell is training under Bill Rose at Mission Viejo and has landed several other performances this season that make her noteworthy. 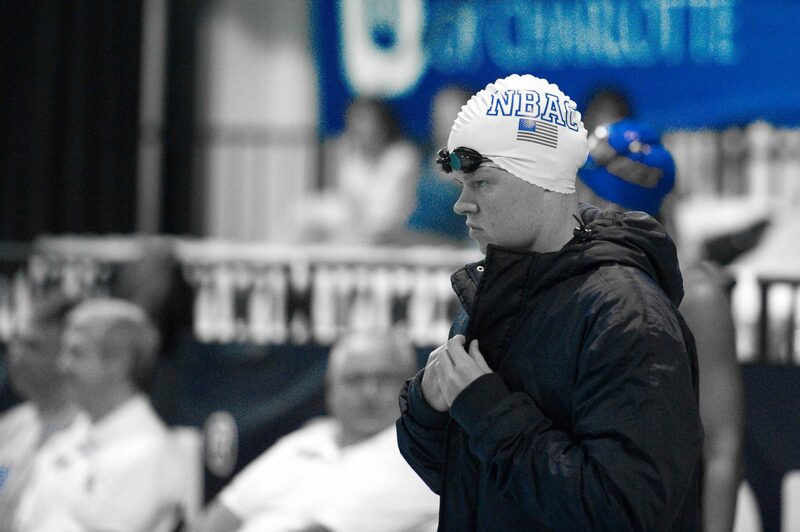 She is currently ranked 5th all time for American women in the 1000 yard freestyle with 9:24.44, and touched the wall to the feet only .38 away from that time on her way to an outstanding performance in the 1650 at the King Marlin Pro-Am Classic in Dallas this December. The 15:35.42 for that mile ranked her fifth all time and third among active athletes in the USA. She has also excelled in Open Water events over the past year with a win at the RCP Triburon Mile and a 10k Open Water National Title that unseated Defending Champion Becca Mann. Viking’s Dark Horse pick: Haley Anderson. Haley Anderson’s best time in the 800 meter free since 2012 has been 8:29.32 which she hit at 2015 Winter Nationals. She has been faster than that three times in her career though, with her lifetime best performance being the 8:26.60 from the Olympic Trials in 2012. Anderson has been killing it in Open Water events over the last two years, qualifying for her second Olympic team with her ninth place finish in the 10k and a repeat as Gold Medalist in the 5k, both at 2015 FINA World Championships. The USC grad openly admits “I hate walls. I hate turns.” That doesn’t seem to be a problem though when she decides that she wants to put up a fight in the long course pool. 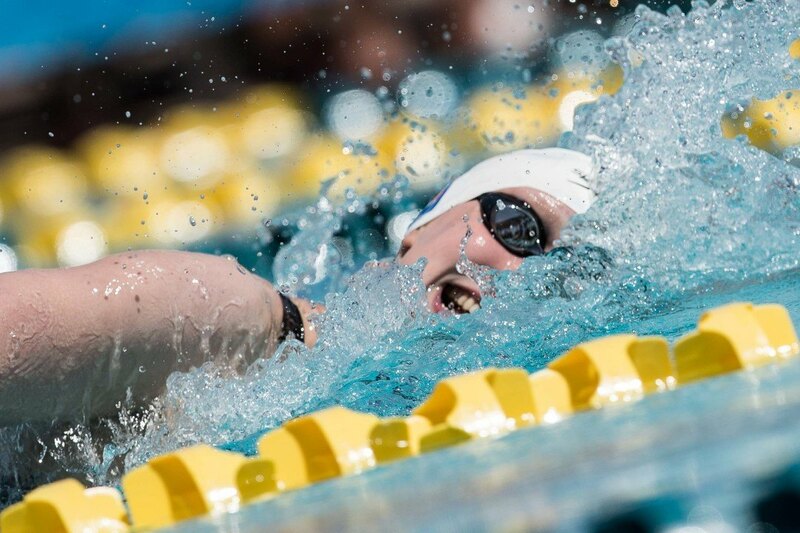 I don´t know if rest make much difference for Ledecky.. at least on the 800.. she seems to benefit more from rest on the 400.. Rested or not she can break the 800 WR..
Ledecky not making the 800 would be the biggest upset in USA Olympic Trials history, I think – can’t think of anyone going in as clear a favorite. That being said, what do people out there is the biggest upset? 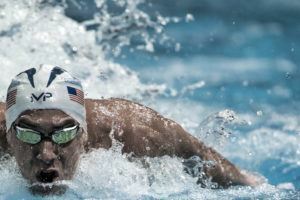 First that occurs to me is Morales not making the 100 fly in 1988. 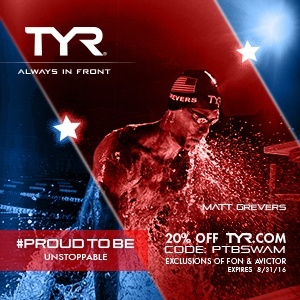 Anthony Nesty over Matt Biondi in the 100 fly goes down as the biggest upset for me. Those last two meters seemed to slow down so much it felt like an eternity. Never will forget that race, either. 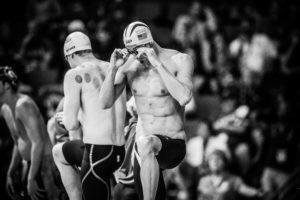 I’m younger but Hansen not making the 200 breast in 2008 comes to mind. I was there for that. I remember being stunned and going to an event a day or so later where he was signing autographs and I felt so bad for him. It was good to see him still get a shot at Kitajima in the 100 that year. Or Cseh not entering the final (4IM) in 2012. I was referring to USA Olympic Trials, not Olympic Games upsets. 🙂 And swimming only – no Dan O’Brien. Coughlin only getting sixth in the 100 freestyle, missing the 100 back in 2012. Just like to shoutout to Ashley; she’s currently training under Rich DeSelm at NCAC and has been doing a phenomenal job. Wouldn’t be surprised if she got a spot on the team, and having a four second drop at Charlotte from her best is definitely promising! Thanks for the heads up on the training location. Yeah, she is killing it lately. It was so fun to watch her mile at KMSC in December. If she gets out fast enough in the 800 she is primed to have a shot at that #2 spot.